8:00 pm Appalachian Trail and Outdoor Trivia - Shenanigans Irish Pub Outdoor related door prizes! Appalachian Outfitters 2016 CANOE & KAYAK SALE!! - Great Deals on Boats and Gear from our Rental Fleet! 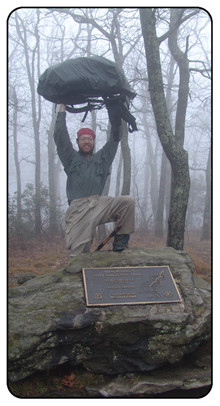 On your own - Hike on the historic Appalachian Trail at Woody Gap. Two hikes. Map at TF Booth.